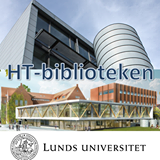 Our course books and reseach -methodology are located on the ground floor at both LUX Library and SOL Library. The SOL Library and SOL Centre transcribe Arabic book titles and names of persons according to Library of Congress Romanization Table for Arabic. Learn more about it here! New student at Lund University? A film prepared and made by Swedish Institute, there you find general information about how to study in Swedish Universities. The information is in Arabic.